Shares of Forte Oil Plc surged further Thursday as investors continued to react positively to the news of Mr. Femi Otedola’s planned divestment. Otedola’s intention to sell his 75 per cent direct and indirect shareholdings in the company, was disclosed on Monday in a notification to the Nigerian Stock Exchange (NSE). 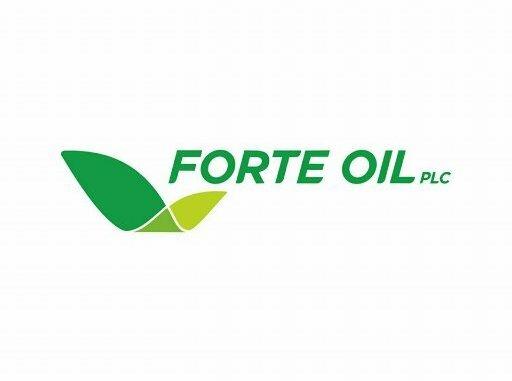 According to the notification, “Forte Oil Plc hereby notifies the Nigerian Stock Exchange, Securities and Exchange Commission, shareholders and the investing community that its majority shareholder, Mr. Femi Otedola, has reached an agreement with the Prudent Energy team, investing through Ignite Investments and Commodities Limited, to divest of his full 75 per cent direct and indirect shareholding in the company’s downstream business. Owing to this, the market received the divestment news positively with the share price rising by 9.8 per cent to N31.25 per share. However, when trading resumed yesterday after the Christmas break, shares of Forte Oil appreciated by 9.92 per cent to close higher at N34.35, indicating sustained demand by investors. Otedola, through his company, Zenon Petroleum & Gas Limited, bought the stake of Incorporated Trustees of NNPC’s Pension Fund in Forte Oil, then known as Africa Petroleum Plc 11 years ago. That acquisition made him the majority shareholder of Forte Oil Plc and the company was rebranded in 2010 to its new name. But the company early this year announced plans to restructure its business by divesting its upstream services , power generating businesses in Nigeria and downstream business in Ghana. Forte Oil Plc had said its decision to divest from upstream services and power generating businesses would boost its distributable earnings for the benefit of shareholders. According to Forte Oil Plc, following the significant changes in the oil and gas industry in recent years, it believed that only downstream operators with huge investments in both storage and distribution infrastructures can remain competitive and operationally efficient in the long run. Meanwhile, trading was bearish yesterday as NSE All-Share Index fell by 0.86 per cent to close at 31,692.63, while market capitalisation closed lower at N11.58 trillion. The depreciation recorded in the share prices of Dangote Cement, Flour Mills, Access Bank, FBN Holdings and Ecobank Transnational Incorporated were mainly responsible for the negative close.